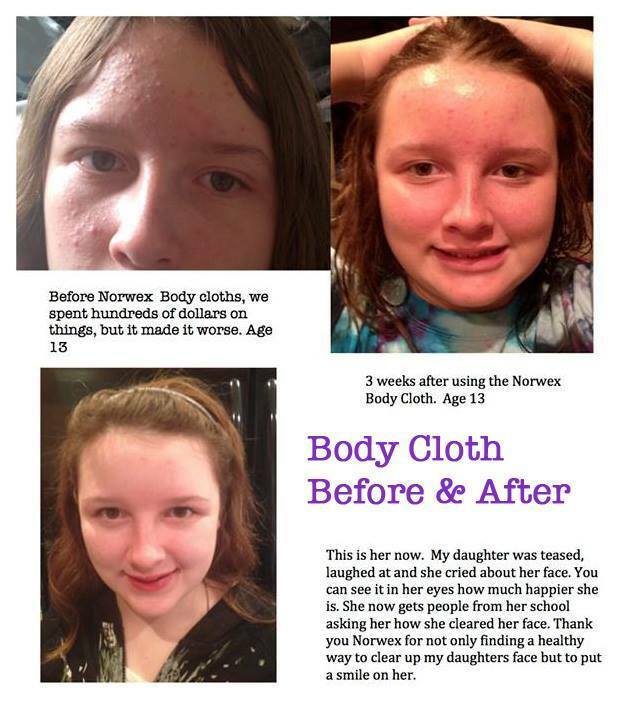 I am so excited about all the interest in the Norwex products since my last post. I have had a blast telling everyone about them and I keep getting the same question…what are your favorite products? So, since we have a few days left until the fundraiser (**update, since the fundraiser is now closed, I have updated this link to a general site where you can place an order) closes (on Monday at 8PST), I thought it might help to post my Top 10 favorite products! AND, since I know this is all about Jacob, I will also post the LATEST, GREATEST giggle video featuring Jacob’s new swing!! This shouldn’t be a surprise! I have yet to find a mess this cloth couldn’t handle. In the kitchen I use it on my counters, cabinets and appliances. In the bathroom I use it on the vanity, shower, bathtub and mirrors. In Jacob’s room I use it to wipe down his toys, crawling surfaces and basically anything he touches. I can have confidence that the EnviroCloth has picked up and locked away any dirt or germs and no dangerous chemical residue has been left behind. Bryan even uses it to clean his truck. Back in the day, I would spend hours cleaning my floors. I would vacuum, then steam and then buff to get rid of the cloudiness that seemed impossible to get rid of. Then I switched to Bona, which saved some time, but mopping while holding the bottle was always a disaster (I broke many nozzles) and I didn’t like the thought of Jacob’s hands and mouth touching those chemicals, no matter how cute the baby on the bottle is. The floor system does an excellent job picking up all of the little debris and all I have to do is get the mop pad wet with water and off I go! I tried these cloths by recommendation of my sister-in-law. She had been using Proactive face wash and went to a demonstration where she was challenged to wash half of her face with the Proactive and the other half with just the Make Up Remover Cloth and water. Afterward, she checked her skin with astringent and was shocked at how much cleaner the Make Up Remover cloth got her skin. She discontinued using the Proactive and her skin has never been better. I shared this with another friend and she said it helped clear up a nasty breakout and her skin has been clear ever since. They make makeup removal at night very quick and easy. I never realized how much waxy yuck is on an apple until I removed it! Even when we buy organic apples, they have a film on the skin. I use the Fruit and Veggie Scrub to clean our fruit and vegetables with out peeling off the nutritious outer layer while still getting it nice and clean. There is a scrubby side for though vegetables like potatoes and carrots and a soft side for delicate produce like zucchini and tomatoes. As I wrote in the last post, when Jacob first came home from the hospital, I pulled all hand towels out of our house and bought stock in paper towels. I probably spent over $50 a month on paper towels and I don’t even want to think of the impact we made on our landfill. The problem with regular towels is that they spread germs. 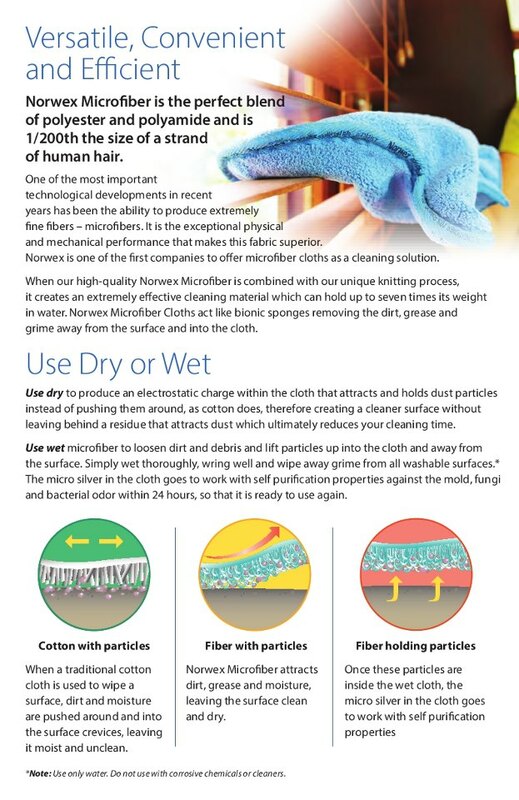 The Norwex hand towels grab the dirt, germs and water from your hands and lock it in the towel. Then the silver goes to work self purifying and the towels are safe for the next user. I have a Norwex hand towel at every sink! These are fantastic! Super absorbent and excellent for drying dishes. We also keep one hanging in our shower to dry the glass and it even works great when giving a dribbley baby a drink of water without a bib. This amazing spray is an enzyme-based cleaner that you spray on your mattresses and pillows to deep clean the “organic matter” left behind by dust mites. Yes, its gross…it cleans away bug poop in your pillows and mattresses. This “organic matter” is what causes allergies. A friend of mine used it on her bed and pillows and her husband’s allergy symptoms cleared up almost immediately! 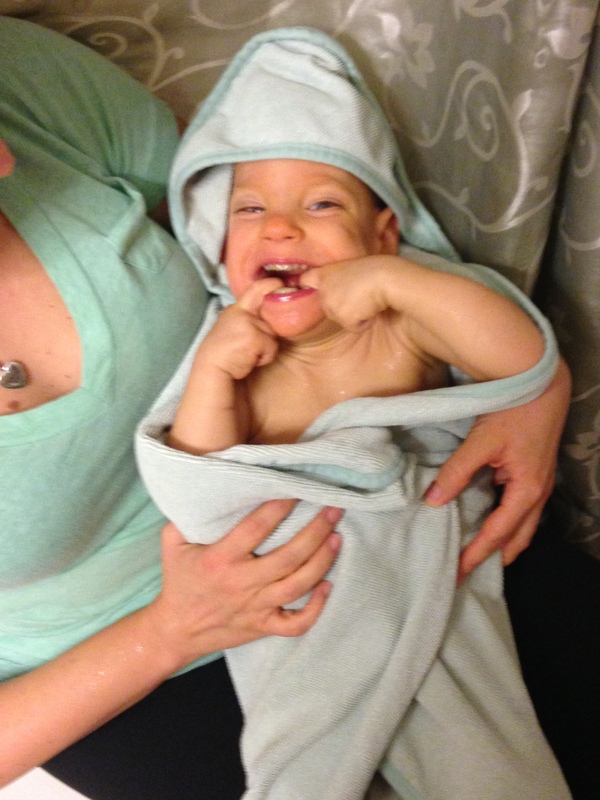 This is a super absorbent, super soft towel and wash cloth that Jacob loves. I use the washcloth to clean his skin without harsh, skin drying soaps and I can be confident that both the washcloth and towel and safe to use between washings as both have the microsilver. 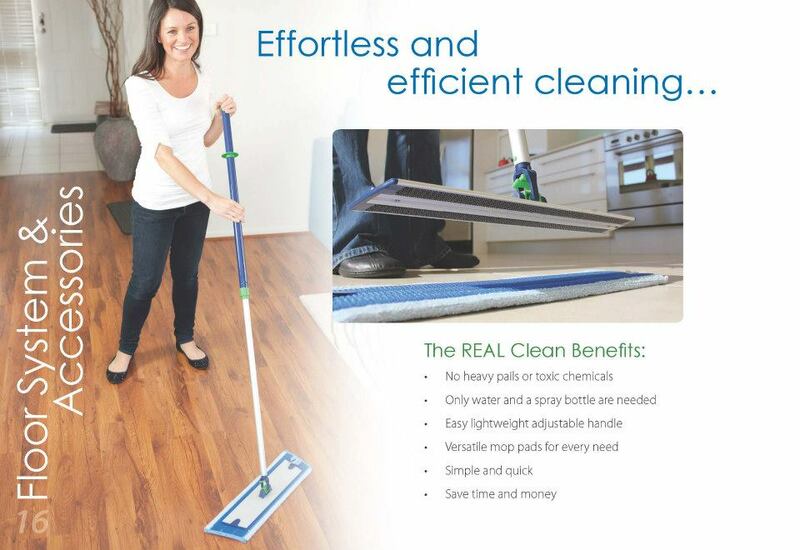 Not EVERY mess can be cleaned with just water. So, for those extra stubborn messes, you can clean with confidence using the Cleaning Paste. Just a dab will do ya! Great to pair with the bathroom scrub mit! Don’t get me wrong, number 10 does not mean last. I LOVE my bath towels. They are giant and soft and snuggly. But, they are also very light, super absorbent and last much longer between washes than standard towels…thanks again to that microsilver. 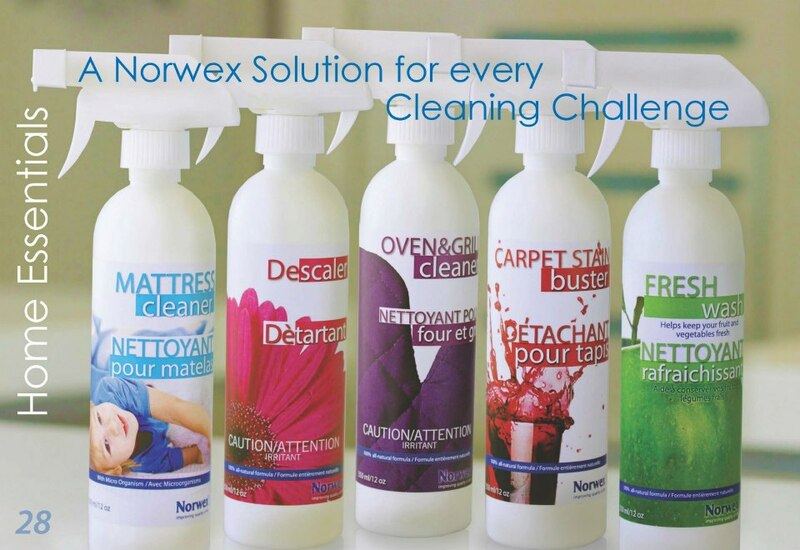 In fact, most of the Norwex products have microsilver…you can identify it with the label BacLock. So there you have it…my top10 favorite products. (ok, I have to give a shout out to the dish mat too! I use it as a pillow for Jacob so he doesn’t sleep in a puddle of drool. I love the one I use in my kitchen too!) Now I’d be remiss if I failed to mention the new fall products. While I don’t have any personal experience with them, I am most excited about the floor mat, bottle scrubber and silicon lids. Now here’s what you’ve all been waiting for…Jacob!!! I promise its worth the wait!!! Previous PostA small change; a BIG impact!Next PostOnly a few hours left! !